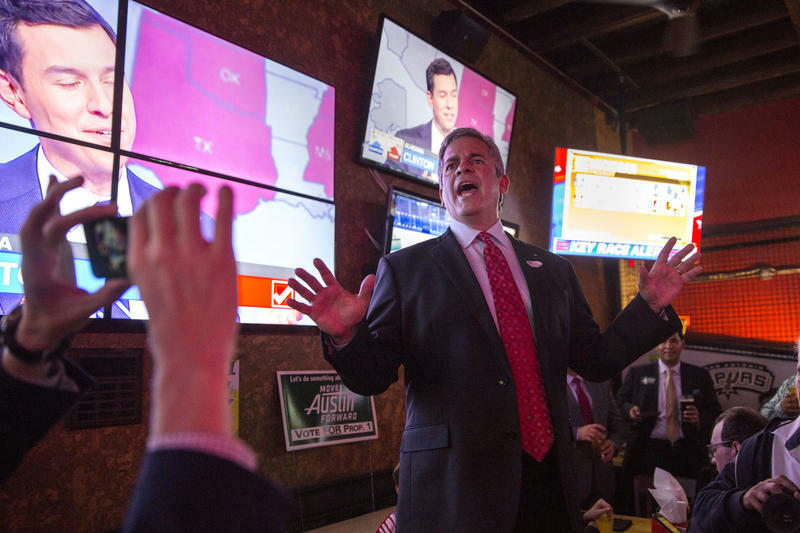 Mayor Adler addresses a crowd at Lavaca Street Bar after early voting election totals intimated that the Austin City Council's $720 million transportation bond would pass. The massive grab-bag of mobility infrastructure spending is the city’s largest-ever bond proposal to survive an election. 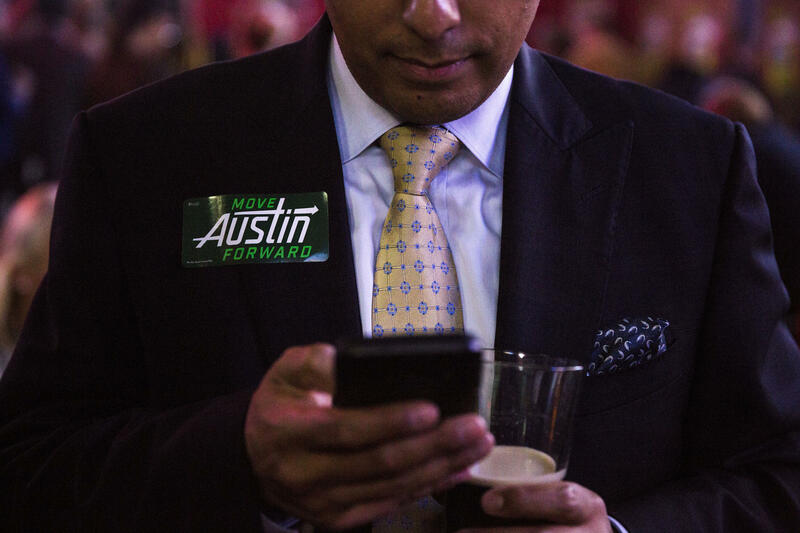 Its victory is also a significant boost for Adler, whose self-declared Year of Mobility limped into Election Day after hitting painful potholes when Uber and Lyft left in Mayand the federal Deplartment of Transportation snubbed Austin in its Smart City Challenge in June. “I think that people in this community were really ready for us to start actually addressing the mobility challenges that we have in this city, and I’m excited that people came out to do that,” Adler said just before officially claiming victory in front of a jubilant crowd at a downtown Austin bar Tuesday night. The early voting results came in just after 7 p.m. and gave Proposition 1 a commanding lead. The proposal took 60 percent of the 247,310 ballots cast in the two weeks before Election Day. In the end, the bond won with 59.13 percent of the vote. The bond plan splits its vast streams of spending into three separate buckets: $101 million for suburban highway and road projects; $482 million for investments along identified and to-be-determined corridors; and $137 million for local streets, pedestrian and bicycling infrastructure, and safety programs. Before Election Day, the bond proposal secured almost universal support among members of the city’s political establishment. The Travis County Democratic Party endorsed it, and the Austin Chamber of Commerce and Austin Board of Realtors drove thousands of dollars into the political action committee supporting it. 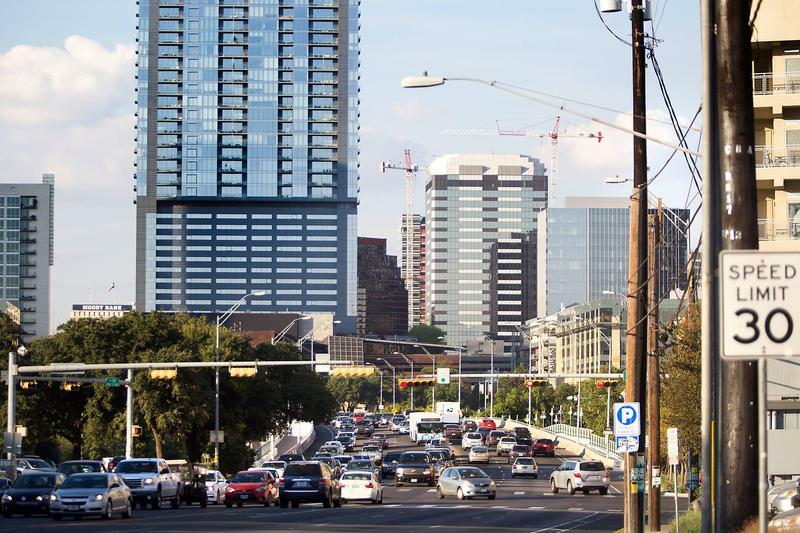 A broad coalition of groups such as Bike Austin, Austin Music People and the Downtown Austin Alliance also lined up behind the proposal. 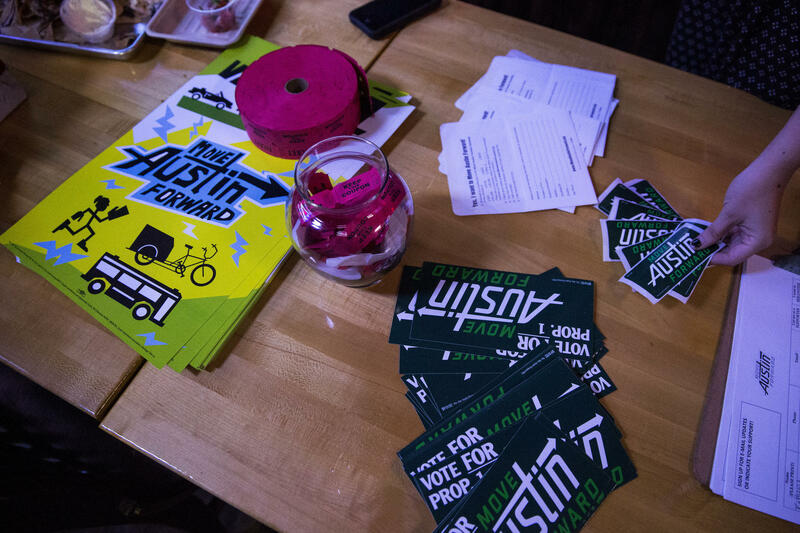 Move Austin Forward, the political action committee organized to campaign for the bond, outgunned its opponent PAC, Honest Transportation Solutions. In the month of October, Move Austin Forward reported raising $481,980 and spending a total of $701,412. Honest Transportation Solutions, on the other hand, raised $105,800 and spent just $74,905. Adler and other supporters said the bond represented a compromise across a broad spectrum of transportation interests and was the city’s chance to do “something” rather than “nothing.” Critics said that it would cost taxpayers more than boosters promised, would prevent future bond funding for other priorities such as flood mitigation and that it focused too little on building more capacity for cars. Houston decried the bond’s creation as rushed and echoed other opponents who said that the corridor aspect of the package focuses less on transportation and more on encouraging future, denser development. With the bond package’s approval, the Capital Planning Office will soon begin the arduous task of putting together an implementation plan for the potpourri of specific projects that must still be identified, designed and ultimately vetted by City Council. For the corridors – which include Airport Boulevard; Burnet Road; far North Lamar Boulevard; South Lamar Boulevard; East Riverside Drive; FM 969; the Drag; and either William Cannon Drive, Slaughter Lane, or both – staff will use as its lodestar existing and future studies as well as a resolution passed by Council in August that prioritizes congestion relief, reduced delay at intersections, improved transit operations and the protection of affordable housing and existing businesses. The Capital Planning Office may hire more staff in order to manage the burst of opportunity ignited by the huge infusion of bond money as well as to keep up with its eight-year cycle. With the fate of the bonds up in the air since Council ordered the election in August, CPO staff members have effectively been in a holding pattern. 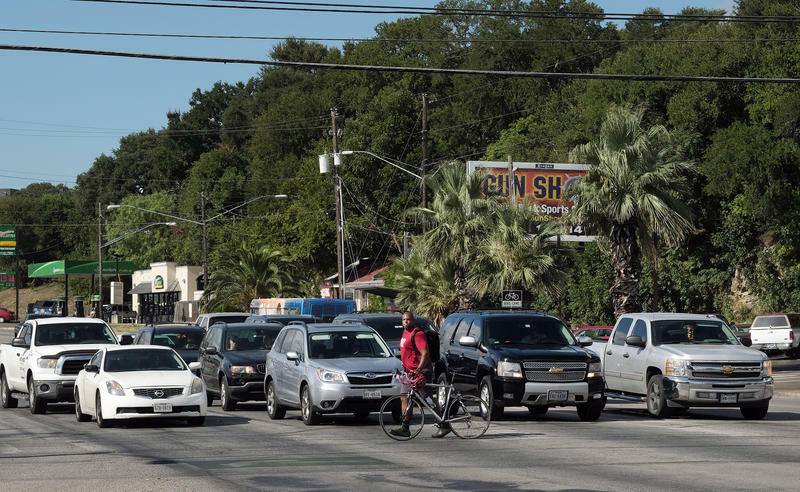 Some Austin School Board members say the city needs safer, more connected sidewalks for students to walk to school. That's why they joined other Hispanic political and business leaders today in support of the $720 million transportation bond put forth by the Austin City Council. From the Austin Monitor: According to an Austin Monitor poll, the fate of the mobility bond is anyone’s guess. The poll was sponsored by Perry Lorenz and conducted by Public Policy Polling. On Oct. 5 and 6, Public Policy Polling surveyed 585 Austin voters by phone about November’s $720 million transportation bond. 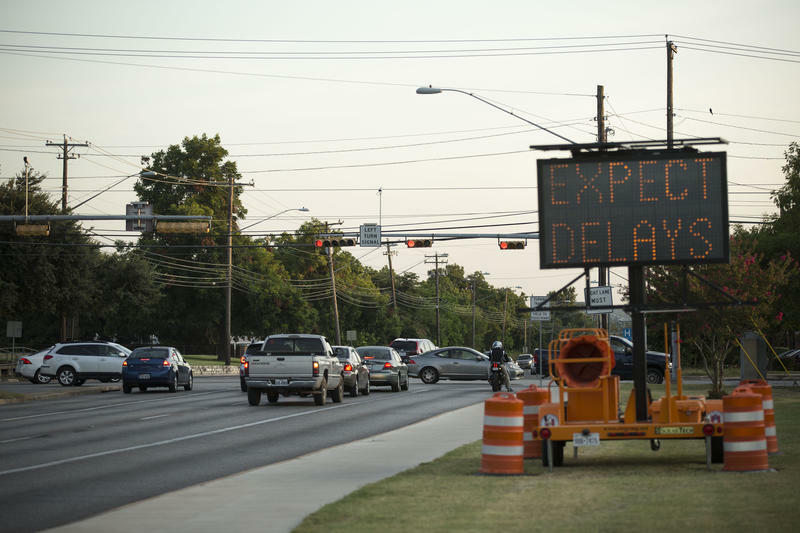 Traversing parts of North Lamar Boulevard as a bicyclist or pedestrian – or, even as a driver – can be alarming. The speed limit is high, and substantial barriers exist neither between pedestrians and cars nor between cars going north and those headed south.